This post is the tenth post in the series ‘The Story of Thai Democracy’, where I’ll be covering the political history of Thailand since the transition from absolute to constitutional monarchy. You can read the previous posts in this series here. In 2001, a seminar was being held at Thammasat University, discussing the recent election victory of prime minister Thaksin Shinawatra. Who was he, and how would he govern? The academics on stage coined a brand new word in Thai, to translate the English term ‘populist’: prachaniyom. This was most likely the first time the term had been used in Thai to describe a Thai politician. It was a sign of the changing times that a new word had to be invented to fit Thailand’s new prime minister. In 2001, the ruling Democrat Party, poisoned by the harsh IMF policies it had implemented in its effort to return Thailand’s economy to health after the 1997 financial crisis, was swept into the electoral dustbin. A brand new party, Thai Rak Thai, campaigned on Thaksin Shinawatra’s prachaniyom platform and won a stunning victory, falling just a few seats short of an absolute majority in parliament. …as someone born in the countryside, I’d like farmers to have a life that can be self-reliant, without debt, and with enough money to educate their children. I’d like them to get medical care when they are sick, sell their produce at a price which is not exploitative, and have supplementary work if they are seasonally unemployed. Polls revealed that even the public thought Thaksin’s platform too good to be true; they gave him the key to Government House anyway. At first Thaksin’s premiership rested on shaky grounds. One of the anti-corruption commissions set up in the new 1997 constitution had found that Thaksin had not accurately reported his assets when he was a minister in the 1990s, and if the court found him guilty, Thaksin would be banned from politics for five years. The new prime minister rushed to save his government, and he chose to do so by bolstering his popularity with the people; he reacted to the court case by saying “Nothing will stand in my way. I am determined to devote myself to politics in order to lead the Thai people out of poverty”. Thaksin then proceeded to implement his policies with stunning speed. Universal health care, agrarian debt relief, village funds; all had been promised, all were delivered. This was paired with classic Keynesian government investment in the economy through ‘mega projects’. But Thaksin was not simply a policy implementer, but also a politician with a keen eye for the media; he began weekly talk shows on television. Thaksin’s popularity reached unprecedented heights as he became the darling of the rural poor. By 2004, Thaksin began gearing up for re-election. With a ‘mobile cabinet’, Thaksin conducted a grand tour of the provinces. At each place he visited, Thaksin would instantly greenlight any proposed local projects. In a week in the northeast, Thaksin approved the spending of hundred billion baht. This, unsurprisingly, won him even more support, and it paid off in 2005 when Thaksin was awarded with the biggest election victory ever in Thai history. Thai Rak Thai won 377 seats out of 500, granting them an absolute majority. For the first time in electoral politics, a sole party would run the government without a coalition. Thaksin’s troubles, however, multiplied in his second term. Some were against his populism, for they felt Thaksin was fiscally indisciplined and was making the poor dependent on hand-outs, and that his policies were simply an attempt at indirect vote-buying. Others were against his authoritarianism; he disliked the opposition, the press and checks and balances to his power and commented “such adversary politics may not be for the best interest of the people. On the contrary, it may be a betrayal of our social contract to the people.” Some of his policies were abusive of human rights, including the ‘War on Drugs’, which killed over two thousand people. But above all, Thaksin and his ministers were often seen as immensely corrupt and it was said that the billionaire prime minister simply had too many conflicts of interest. This was given public display when he sold his family-owned telecommunications company under a tax free deal for a massive sum of money to a Singaporean entity. It became the spark that lit a flame. Street protests against Thaksin began, led by the media mogul Sondhi Limthongkul and Chamlong Srimuang, who had fought Suchinda Kraprayoon during Black May. 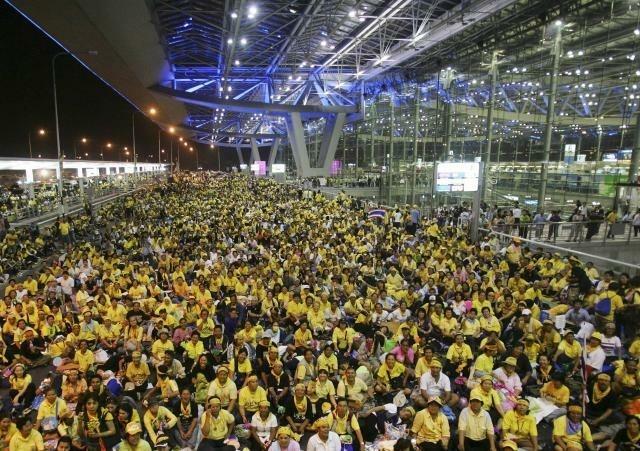 Known as the People’s Alliance for Democracy, the protesters, mostly from the urban middle class among whom Thaksin was deeply unpopular, wore yellow shirts and flooded the streets of Bangkok. Thaksin agreed to resign and dissolve parliament and called a snap election in 2006. What happened next was unprecedented. All the major opposition parties, including the Democrats, decided to boycott the election. Abhisit Vejjajiva, the leader of the opposition, explained that he felt the elections lacked legitimacy and were merely an attempt by Thaksin to divert attention away from his corruption scandal. Unsurprisingly, Thaksin won the uncontested election. However, the Constitutional Court invalidated its results. This culminated with a military coup, led by General Sondhi Boonyaratkalin, that removed Thaksin from power. It was the first coup in Thailand since the events before Black May during the 1990s. Sondhi justified that the political crisis made the coup necessary, and condemned the divisions Thaksin had created in Thai society. Thaksin, who was in New York, attempted to declare a state of emergency, but his broadcast was cut off mid sentence. Later, privy councillor and retired general Surayud Chulanont was appointed prime minister while a new constitution was written. This draft would be approved in a referendum and promulgated in 2007. It undid some of what the 1997 constitution had achieved, namely by turning the Senate from a fully elected to a half appointed body. Finally, the Thai Rak Thai party was dissolved due to the court finding that it had hired smaller parties to contest the boycotted 2005 election, which violated election law. Its executives and leadership were banned from politics for five years. Thaksin himself would later be found guilty of corruption and sentenced to imprisonment, a punishment he escaped by self-exiling himself to Dubai. But if anyone thought a military coup was enough to end Thaksin’s influence in Thailand, they were forced to think again, for he remained extremely popular in the north and northeast. Although many Thaksin-affiliated politicians had been banned from politics, the remnants of the party formed a new People’s Power party. Elections in 2007 led to its victory and therefore a Thaksinite government returned to power under a Thaksin nominee for prime minister, Samak Sundaravej. This immediately began a new wave of protests by the yellow shirts, however, for they were not willing to accept a government managed from afar by a man evading prison. Sondhi and Chamlong once again led the protests, besieging government house and later even occupying Suvarnabhumi airport, paralysing international transport and tourism. Meanwhile, Samak fell as prime minister when the Constitutional Court found him guilty of accepting payments for hosting a cooking show ‘Taste and Grumble’ while holding office, which violated the law. He was succeeded by Somchai Wongsawat, Thaksin’s brother in law, which hardly brought respite to the protesters who were appalled at the sight of another Thaksin nominee for prime minister. The crisis only ended when the People’s Power party was also dissolved for electoral fraud by the Constitutional Court. Perhaps a judicial coup had managed to end the crisis, but the ending of one crisis could only beget another. With many of the People’s Power party members now also banned from politics, the government coalition fell short of a parliamentary majority. This allowed Abhisit, the Democratic leader, to convince the former government’s coalition partners to switch sides and the Democrats were able to form a government with Abhisit as prime minister. Abhisit attempted to follow his own agenda, notably implementing a successful economic stimulus bill to combat the effects of the Great Recession. Thaksin was not one to give up, however. He ordered the creation of a new Thaksinite party, the Pheu Thai party. He also set his supporters into action with the goal of bringing down the Abhisit administration. Red-shirted protesters, known officially as the United Front for Democracy Against Dictatorship (UDD), moved down from Thaksin’s heartlands in the north and northeast and occupied parts of Bangkok in 2009. They also disrupted an ASEAN summit at Pattaya, forcing leaders to fly away to safety. In April 2010, Thaksin implored his supporters to try again. 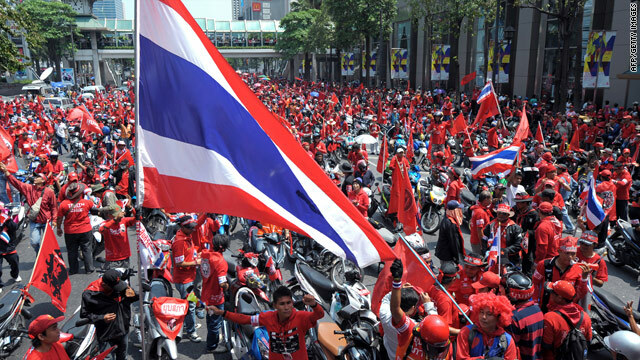 This time, the red shirts set up camp in Ratchaprasong, Bangkok’s famous shopping district. They demanded that Abhisit dissolve parliament. Abhisit refused to do so immediately, but set out a roadmap for reconciliation that would conclude with elections in November. The negotiations eventually led nowhere. It was a dramatic time. Bangkok was once again turned into a battlefield. A number of mysterious bombings and shootings occurred in the capital, while armed red shirt guards built a fortress in the city. Militant forces were observed nested within the protests. The military tried to seize back a protest site in April, but were repulsed by the protesters. In May, the government finally began an all-out attempt to end the protests. The clashes were violent and bloody as Bangkok descended into what seemed like a civil war. The chaos escalated when some protesters began setting fire to numerous buildings in the city. 90 died and 2000 were injured as a result of the violence. In 2011, Abhisit announced the dissolution of parliament and held new elections. Yingluck Shinawatra, Thaksin’s own sister, was presented as the Pheu Thai party candidate for prime minister. Although later many would ridicule her as an intellectual lightweight due to her frequent gaffes, this would not matter; Pheu Thai ran on the slogan ‘Thaksin thinks, Pheu Thai acts’. They duly won another absolute majority; prachaniyom had not lost its lustre. Yingluck pursued another string of populist policies, such as a rice subsidy program and giving out free tablet PCs for school children. Her government managed to weather a disastrous major flood. Yet when her downfall came, it was not due to a natural disaster; it was her own doing. It’s time for us to reclaim our country, brothers and sisters. 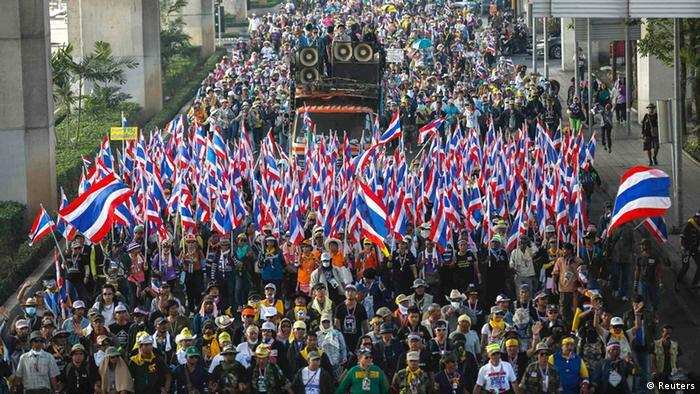 It’s time to rise up against the Thaksin regime. It’s now or never. Join us one and all and we shall swiftly prevail. In January 2014, Suthep led the protesters to occupy several major intersections in Bangkok in a campaign known as the ‘Bangkok Shutdown’. This continued for months. Meanwhile, Yingluck was removed from office by the Constitutional Court for abuse of power due to her removal of a civil official, which was prohibited by the constitution. The government had been beheaded and the protesters refused to give up. There was no way out, it seemed. The finale came in May 2014 when army commander Prayut Chan-ocha suddenly announced that he was declaring nationwide martial law, saying the military would now mediate in an attempt to bring an end to the crisis. Major politicians were all asked to convene in a military base to discuss a political solution. When this could not be produced, Prayut announced a military coup d’état, removing the Pheu Thai party from power, dissolving parliament and abrogating the constitution. He later appointed himself as prime minister. Thaksin’s time as premier and its aftermath has been a time of unprecedented division within Thai society, a crisis that climaxed with the military coup of 2014. This period marked both the most stunning of electoral successes in Thai history, but also two reversals to military government after the failure of the democratic system. At the time of writing, we still do not know the resolution of this era, and where Thailand is headed after this. The story of Thai democracy, it seems, will continue. 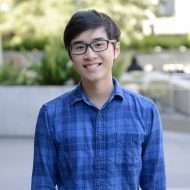 Pingback: The Story of Thai Democracy – Ken L.
Thaksin and Yingluck Shinawatra are at least decent unlike the current ones running Thailand. I liked them for reducing poverty, expanding infrastructure, promote small and medium-sized enterprises, and universal healthcare coverage. They were like Chavez. I am against those with hateful minds to spread these allegations against those two. Even if they’re ex prime ministers, they still deserve my support.